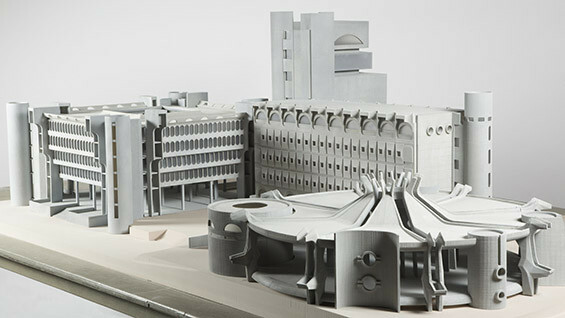 A highly lauded exhibition currently on view at the Museum of Modern Art (MoMA) about post-war modernist architecture in the former Yugoslavia features five highly-detailed, exquisitely executed architectural models conceived and fabricated by students of the Irwin S. Chanin School of Architecture some of whom are now recent graduates. Toward a Concrete Utopia: Architecture in Yugoslavia, 1948–1980 documents the ideas of architects tasked with designing buildings that reflected the new nation of Yugoslavia as separate from the era's two superpowers, the United States and the Soviet Union. Taking what was dubbed the "Third Way," Yugoslavia's architects created buildings, monuments, and entire cities that have largely gone unnoted by architectural historians.The exhibition at MoMA is a "rigorous examination" of the works and the key figures of the period. In the exhibition, the architectural projects are represented by photographs and drawings that can be dense and difficult to read on their own. 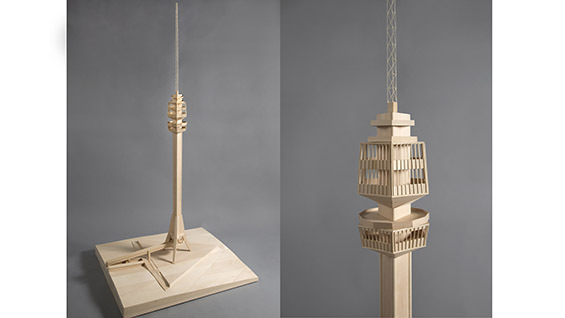 As a result, the show’s curator, Martino Stierli, reached out to several schools of architecture, including The Cooper Union, to design and fabricate models that could help to reveal the structure, form and tectonics of the actual buildings. 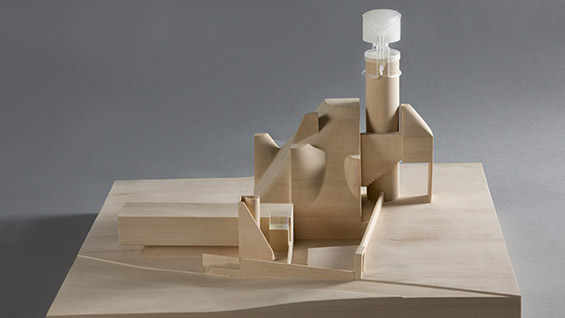 At the same time, the MoMA project offered students a chance to work for a client, negotiating between their own visions of the model and the curators’. “Through this kind of exhibition, MoMA is practicing its role as an educational institution, engaging the schools and creating new scholarship,” she added. Dean O’Donnell reached out to Professor Anna Bokov to help guide the students as they undertook the project. 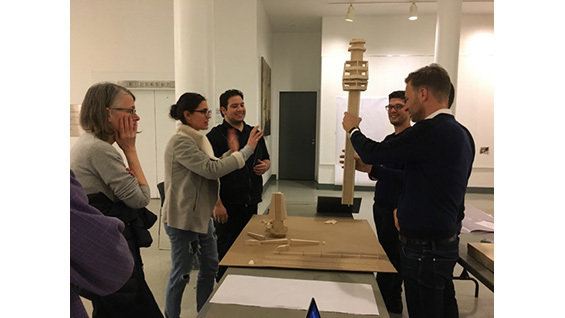 An architect and historian, Professor Bokov teaches the Design III Analysis studio, in which students engage works of architectural precedent in a didactic, structural and abstract process, at once both interpretive and projective. She worked closely with students to formulate their strategy for making the models and to ensure the intellectual integrity of the work. “Students had the ability to curate the conversation, and be part of the curating process,” Professor Bokov said. While learning about the history of the architecture in question, students met with Mr. Stierli and other curators to agree on which models to build, in a give-and-take to meet the interests of the students and the needs of the museum. “It was a discussion where productive intersections of interest were discovered,” Dean O’Donnell said. Organized into five groups, the Cooper students set out to represent five projects and complexes largely constructed of concrete, at once Brutalist and futuristic. The works were located in provinces across the former Yugoslavia, including a stadium in Split, a library in Kosovo and a mosque in Bosnia. 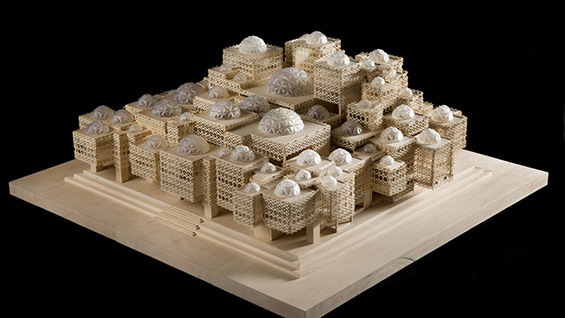 The final models were the Kosovo library (1982), a concrete structure capped by almost 100 translucent domes of different sizes that held a collection of Albanian literature destroyed during the war; the Poljud Stadium in Split (1979); the Avala TV Tower (1965), which was destroyed in NATO bombing in 1999 and later reconstructed; the White Mosque in Visoko (1980), a square-plan building with soaring interiors topped with quartered cupolas; and a telecommunications center in Skopje, Macedonia. Yaoyi Fan (AR’18) worked with six team members on the compound in Skopje designed between 1953 and 1970 by architect Janko Konstantinov (1926–2010) from. The three-building complex is an array of concrete structures that employ rectilinear elements along with arched and circular ones such as a glass-enclosed colonnade and fan windows lining a concrete tower. "The project was not entirely realized the way the architect intended," Ms. Fan said. 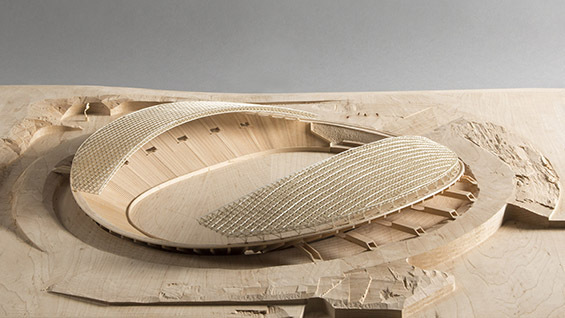 "There were various modifications in the built work, but in our model we chose to align with the architect's vision rather than the built work." The teams, who earned a stipend for their work, developed the projects throughout the 2017-2018 academic year. The models were finished and picked up for transportation to MoMA in June 2018, just a month after they had completed final exams. 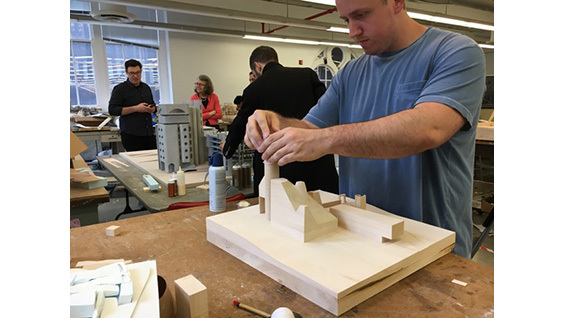 Professor Worsnick noted that students “knew how to make in the way that most architecture students don’t—and they really engaged in a deep way. They were thinking of MoMA as a client, but also the original architects as clients—keeping both in mind.” And most importantly, students entered into a dialogue with the architects of the buildings, “engaging with the same problems as the original designers faced." As a result of the Museum of Modern Art exhibition, these once understudied buildings are the objects of renewed attention. The restoration of the Kosovo Library is currently being planned. 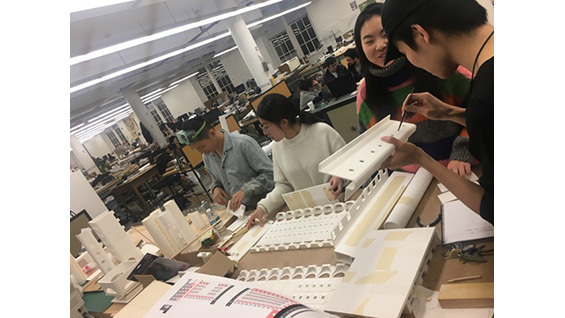 The students who participated in the project were: Xiaohan Bao, Yuval Kenigsberg Bentov, Rain Chan, Aimilios Davlantis Lo, Julia DiPietro, Yaoyi Fan, Mireya Fabregas, Jorge Flores, Chong Gu, Xinyi Guo, Cyrus Henry, Gabriel Munnich, Patrisa Pruthi, Kevin Savillon, Evan Shirley, Cheung Lun Jeremy Son, Nichil Stewart, Heebeom Yang, Naitian Yang, Shuqing Zhan and Zhenni Zhu. The exhibition is on view until January 13, 2019.